Es una aplicacion sencilla que permite realizar el seguimiento delkilometraje, las cargas de combustible y el gasto del mismo. 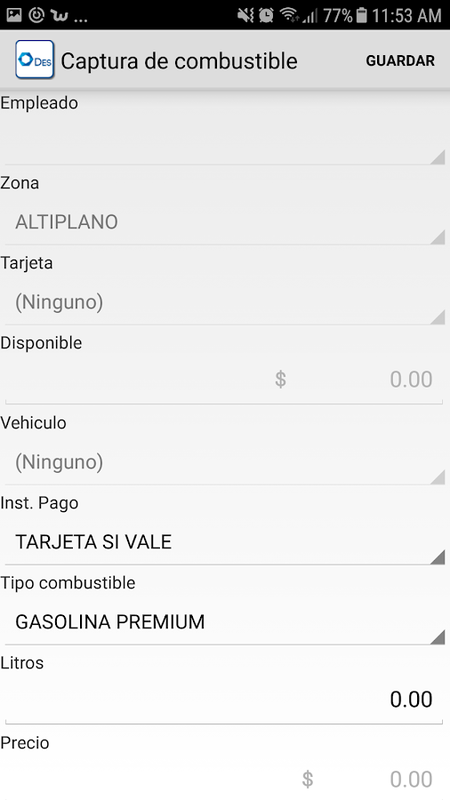 Sepueden ademas controlar los gastos adicionales en la carga delcombustible, como aditivos y aceites.It is a simple applicationthat allows you to track mileage, fuel loads and spending it. Youmay also control additional costs in the fuel load, as additivesand oils. ★ Save Money: Manage the cost of fuel consumption and economy, carmaintenance expenses and service costs of your car, motorcycle, busor truck. ⛽ Find Cheap Gas Prices: Now you can plan your nextsupply. Where to refuel is a collaborative feature that makespossible to check fuel prices at stations close to you and otherlocations you prefer. You can still request GPS guiding to theselected station. ★ Fuel mileage calculator: Track average Km /liter, monthly expenses, averages per day, fuels, etc. 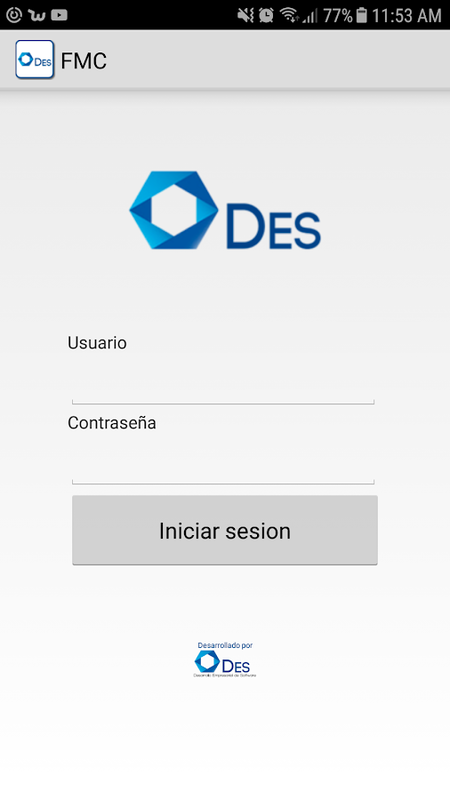 Using thisapplication you’ll have a hands on financial control of yourvehicle. TOTAL MANAGEMENT OF YOUR CAR: • Total odometer reading ortrip mileage input • Full fuel management (fuel costs, efficiency,fuel stations, etc..) with advanced options of refuel types (full,partial) for financial control • Support for recording fill-ups,services, expenses and trips (business, personal, etc). • Gasmileage (fuel economy or fuel mileage) calculation with multipleunits support: MPG, gallon/100mi, mi/L, km/gallon, L/100km, km/L •Fuel stations registering • Many statistics / charts / reports foryour financial control • Gas consumption charts per gas / fuelstations • Advanced reminders (like reminder on next carmaintenance) • Charts with filter by car and/or date range. Easyediting of data in the charts. • Vehicle Maintenance recordsmanagement with reminders • Distance statistics: total distance,distance/year, distance/month, distance/day • Cost statistics: costper category (refuel, bill, services). Cost/distance, cost/year,cost/month, cost/day, consumption etc... • Fuel efficiencystatistics and management • Gas efficiency statistics per gas /fuel stations • Report with best/worst fuel efficiency. Easy totrack conditions you were under were good or bad. 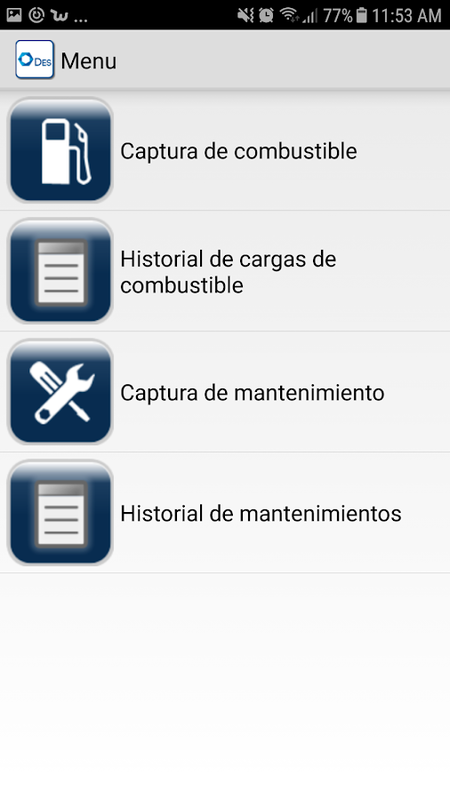 • Trackingmaintenances, services, costs, expenses of your vehicle • Fuelunits: US Gallons, Imperial gallons and liters • Many fuelefficiency units such as MPG and Km/L • Track your fill ups andsave cash • You can also restore data from other apps. (Fuelio,aCar, Carango, Fuel Log, My Cars, Car Expenses, Fuel Manager) •Locations of petrol stations are shown on the map as a branded pinwith the last known fuel price displayed above. • Locate the gasstations with the lowest-priced gas - no matter the type - nearyou. • Report gas prices to help others save money and climb theranks in your community The Greatest app for keeping track ofmileage, fuel and car maintenance The app helps you save cash andtime being your car financial control by keeping track of your gasmileage, fuel economy at the right fuel stations, car servicecosts, car service reminders, car expenses. If you want to savemoney with your monthly expenses, download Drivo now. ★ Pro versionadvantages: ★ • Backup data of your vehicle in the cloud •Synchronize data between devices • Keep all your data safe •Unlimited income registration • No advertising • Export the dataconcerning their vehicles in CSV/Excel. • Setting and share thegraphics generated by Drivo. • Receive future Pro features forfree. • Receive technical support within 24 hours. ★ Incomes:Thinking about those who use a vehicle as a working tool, DRIVVOnow also allows the record of incomes. The new functionality wasmade for people who use their vehicles professionally and need toknow, in real time, the expenses and revenues related to it.